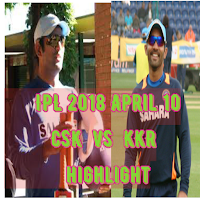 CSK vs KKR highlight IPL 2018 April 10 Match started. MSDhoni captain of CSK won the toss and decided to field first. Sunil Narayan and Chris Lynn started the inning of KKR. Sunil Narayan was on fire in first over but can't play the long inning. Also, Chris Lynn didn't play well. Now KKR is on the back foot because Robin Uthappa who was playing very well went to the pavilion. Nitish Rana gets out after Uthappa. In 10th over KKR is 89/5. Andre Russell is on fire hit consecutive sixes. Dinesh Kartik captain of KKR gone. Russell hit six no 9 now. Russell hit 11 sixes and a single boundary. he scored 88 in just 36 delivery. KKR scored 79 runs in last 5 over. KKR scored 202 runs in 20 over for the loss of 6 wickets. Raydu and Watson started the inning of CSK. 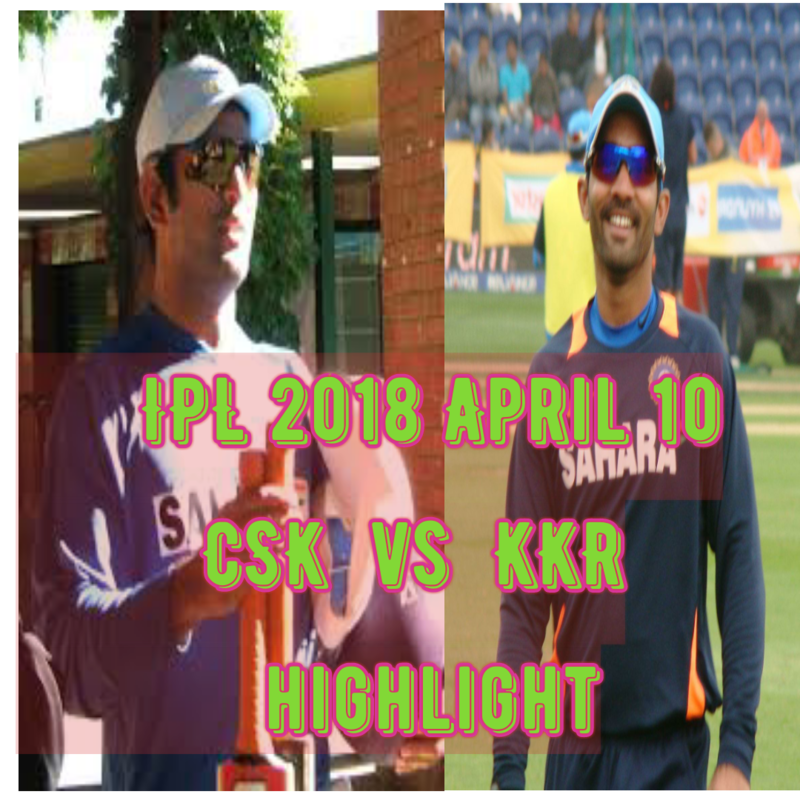 Watson and Willing played the magnisiv inning and achieved CSK to win.